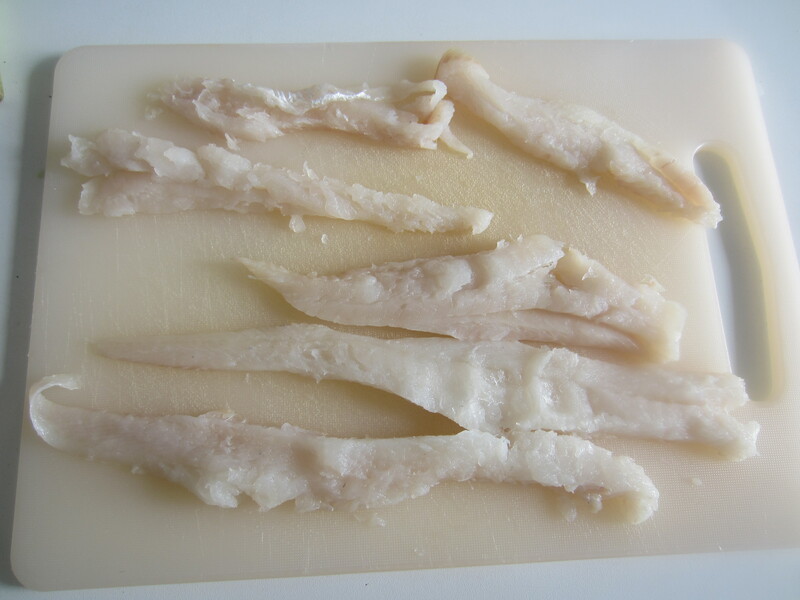 This super easy fish dish is quick and impressive. 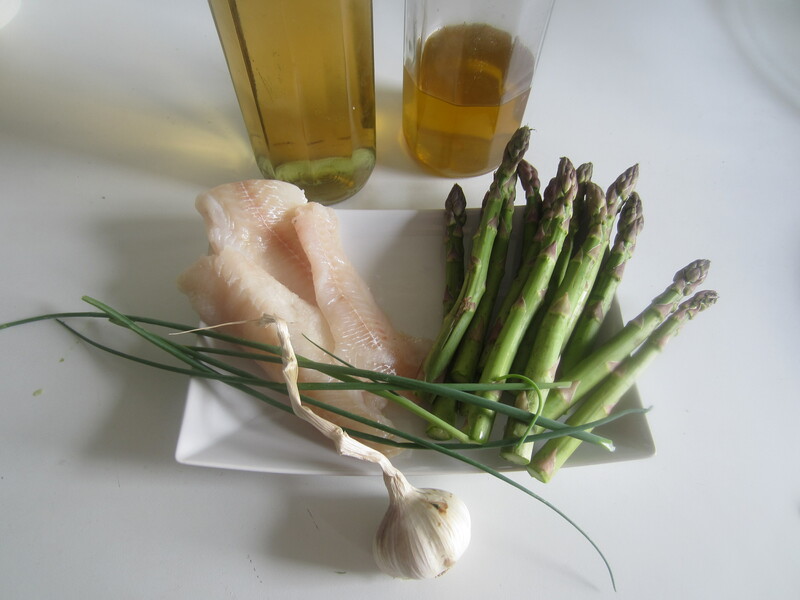 6 cod fillets, skinless, 18 fresh asparagus, some chives, 4 tablespoons olive oil, 1 cup dry white wine, garlic, salt to taste, pepper. 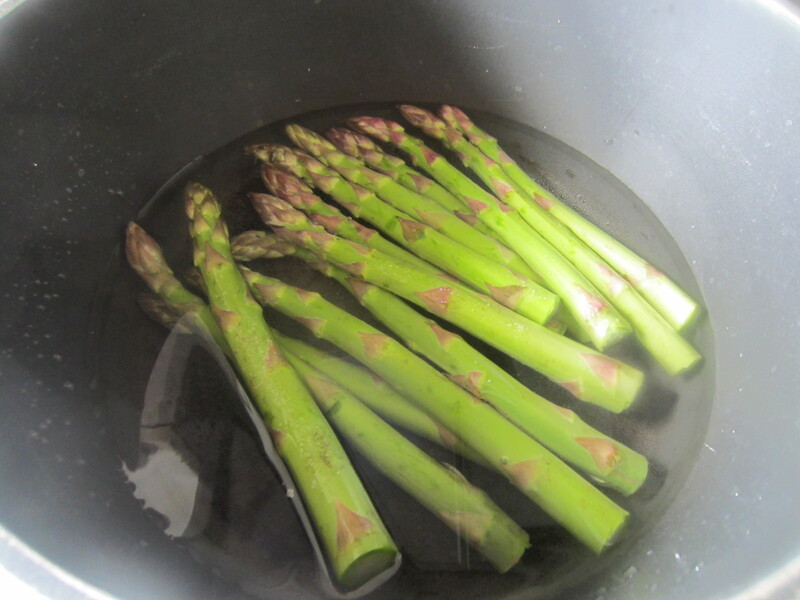 First blanch the asparagus in a little water for 6/8 minutes. 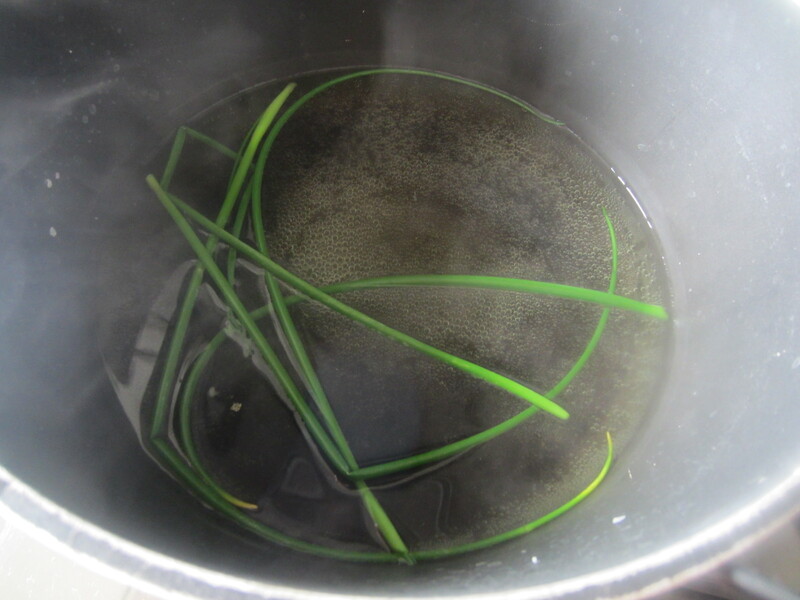 Keep the boiled water and boil quickly also the chives. 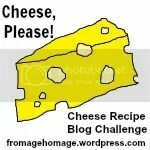 Remove the chives, salt water and keep it. Slice the final part of the asparagus. 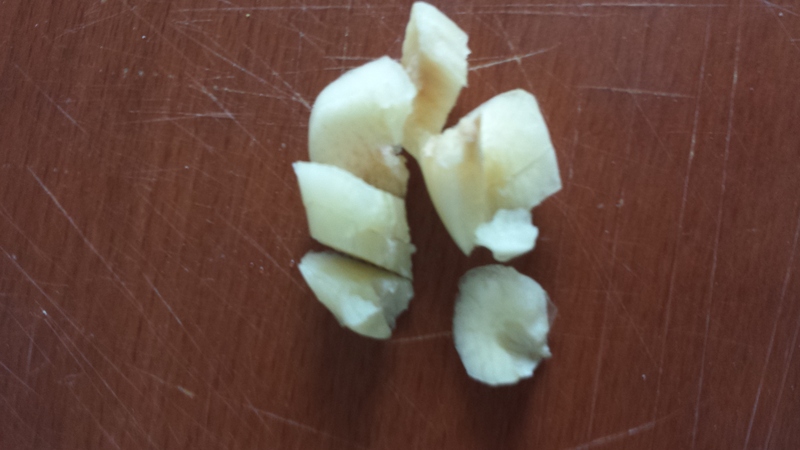 Slice also the garlic. 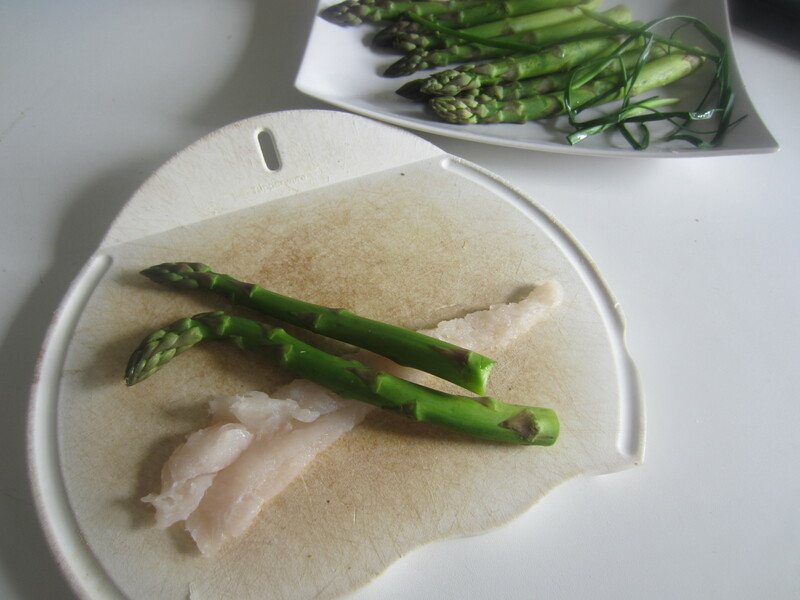 Arrange the fish fillets on a work surface, place on each fillet 2 or 3 asparagus spears. 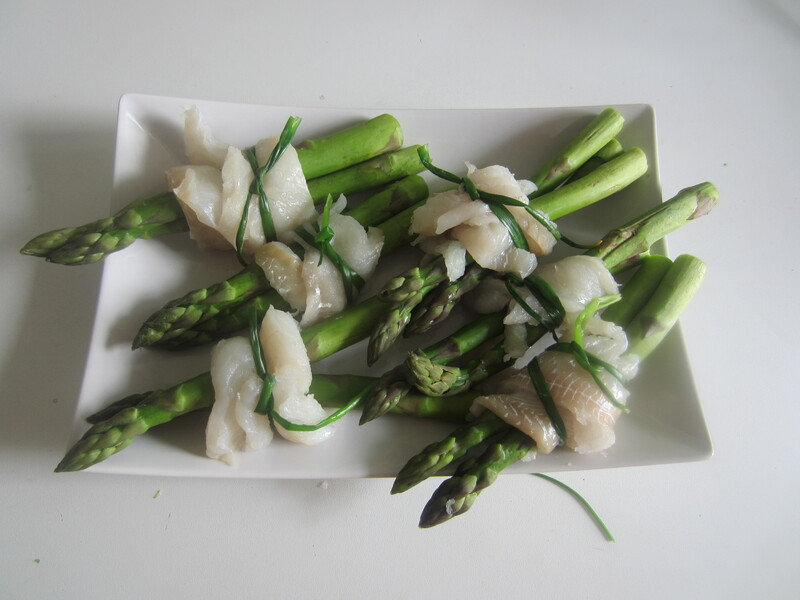 Roll the fish around the asparagus and tied each roll with a chive. 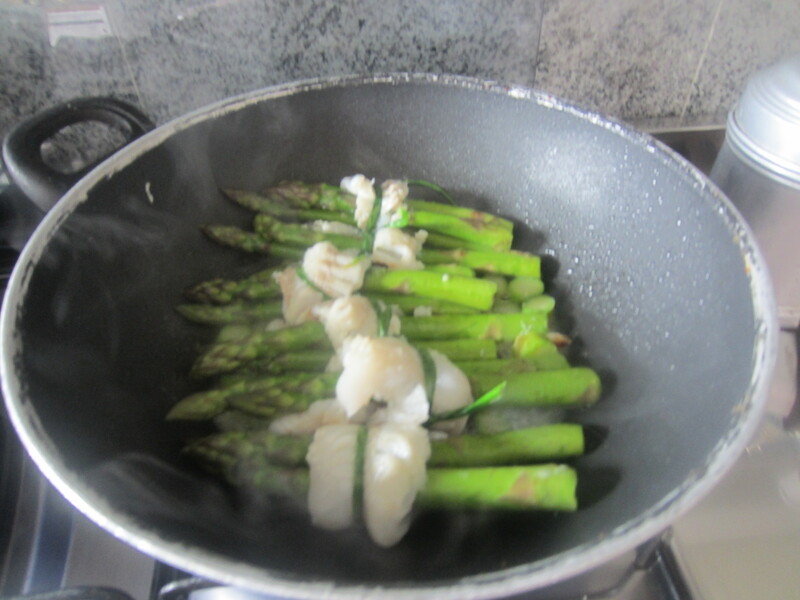 In a pan, fry the chopped asparagus and garlic finals with 4 tablespoons of olive oil. 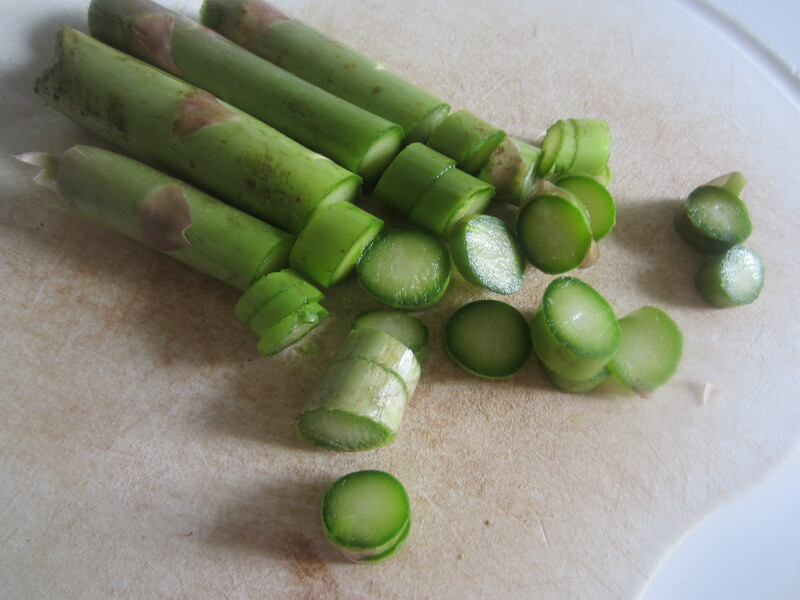 Add a glass of water for cooking asparagus and let it evaporate over high heat. 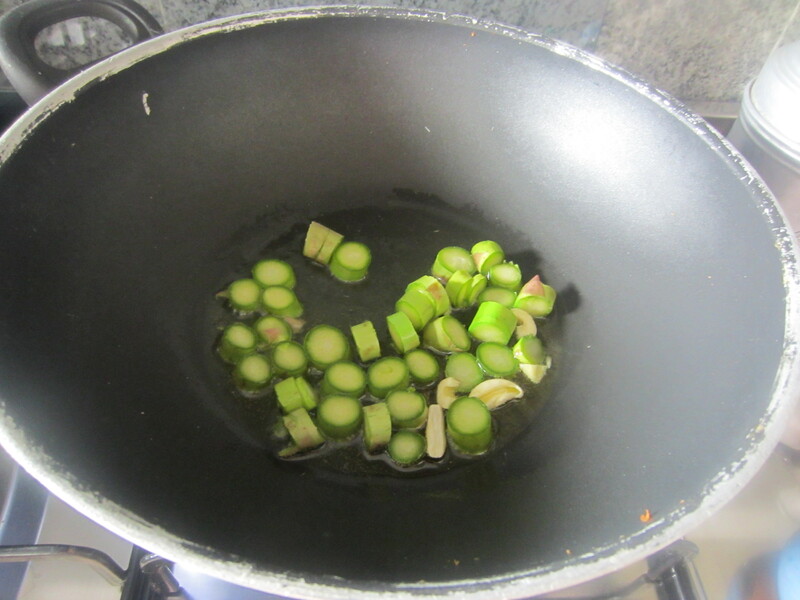 Keep cooking until the asparagus pieces are almost fully cooked, adding in case more cooking water. 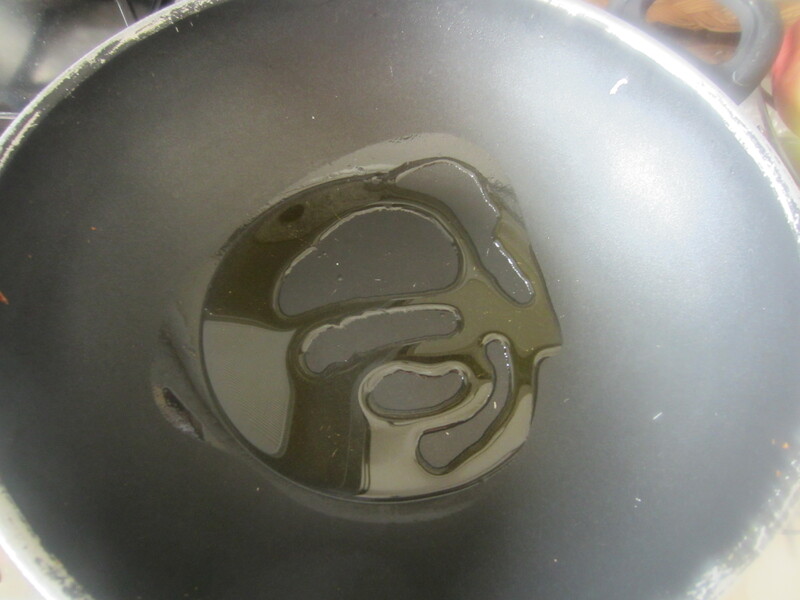 Now add the rolls, fry and finish cooking with white wine. 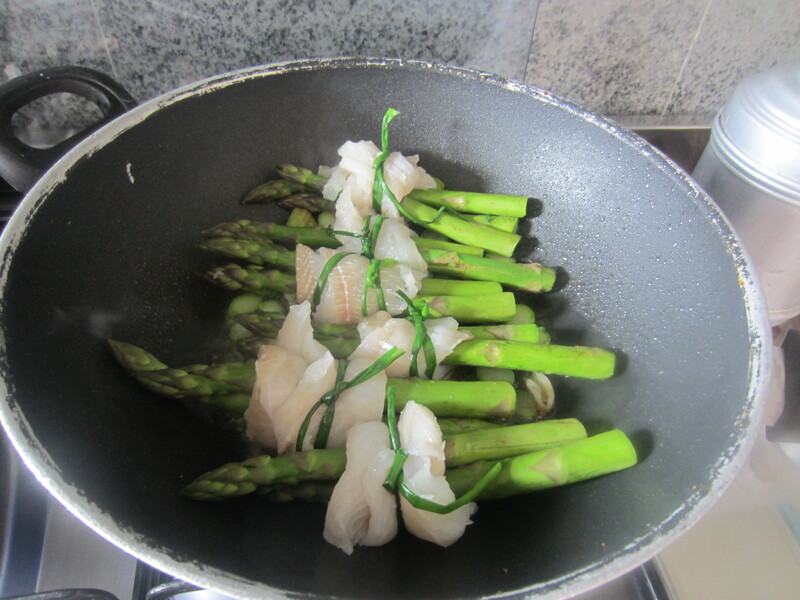 Season with salt if needed, add freshly ground pepper if you like. 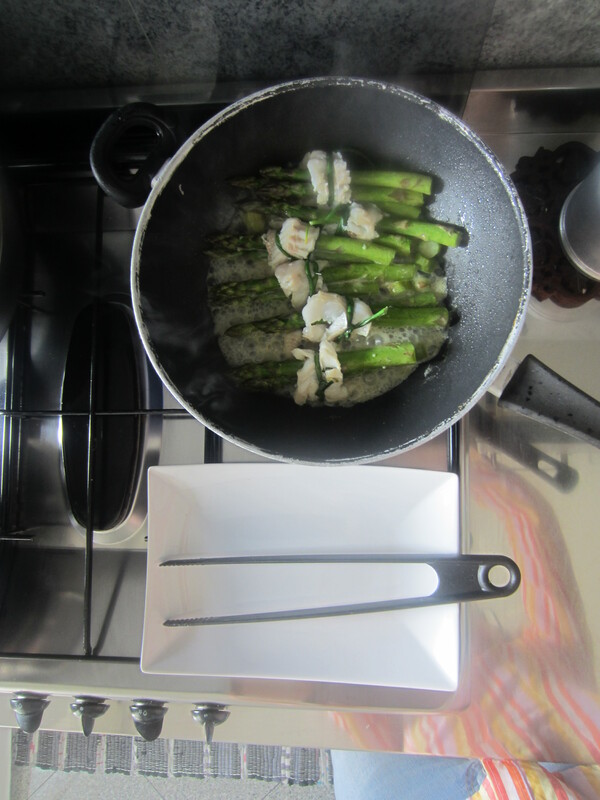 Serve with it’s sauce left over, and with the asparagus slices. 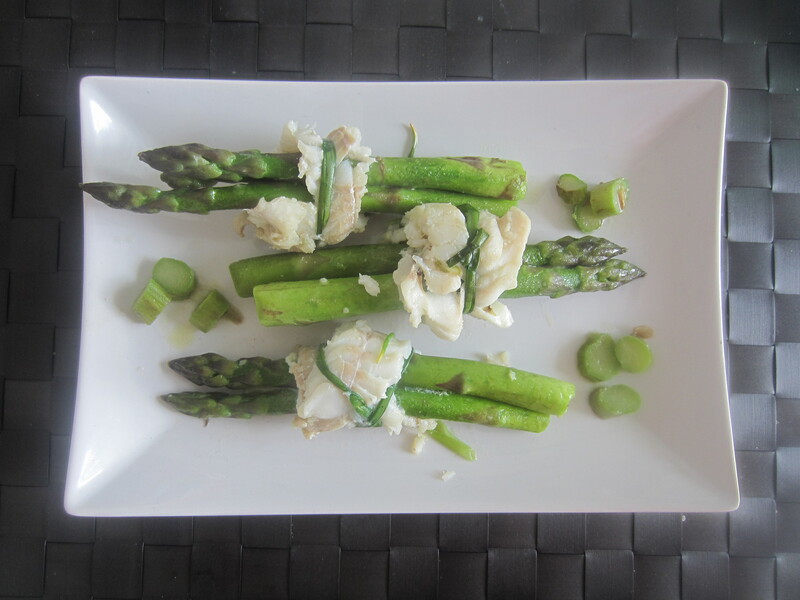 Your cod and asparagus rolls are ready, buon appetito, enjoy it!